This cute sundress I ordered during the big sale last weekend. This striped jumpsuit - so on trend this season! This little black “wrap” dress. This dainty star and moon necklace. These popular trendy denim shorts. This blue and white tie front shirt with capped sleeves. This smocked off the shoulder top is as low as $22. These capri sandals are only $9. These suede espadrilles are only $33 - and look like the designer ones. This cute dotted tee with ruffle sleeves. I love the print on these bow front mules that are 30% off. This ruffled rib tank is only $13. This cute heart pendant necklace is 55% off. These suede scalloped block heel sandals are 40% off. Love the Hello Sugar Plum + Gibson line. And this green shoes and palm dress, may need those for my summer vacay!! hope you have a wonderful weekend sweet friend! 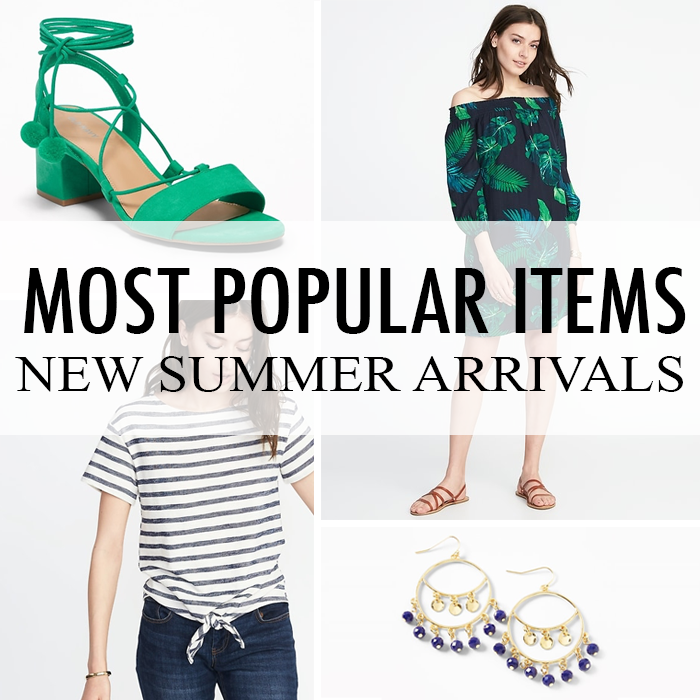 I am loving bright green for summer, I am definitely looking to add some pieces in that color to my wardrobe. Have a great weekend!